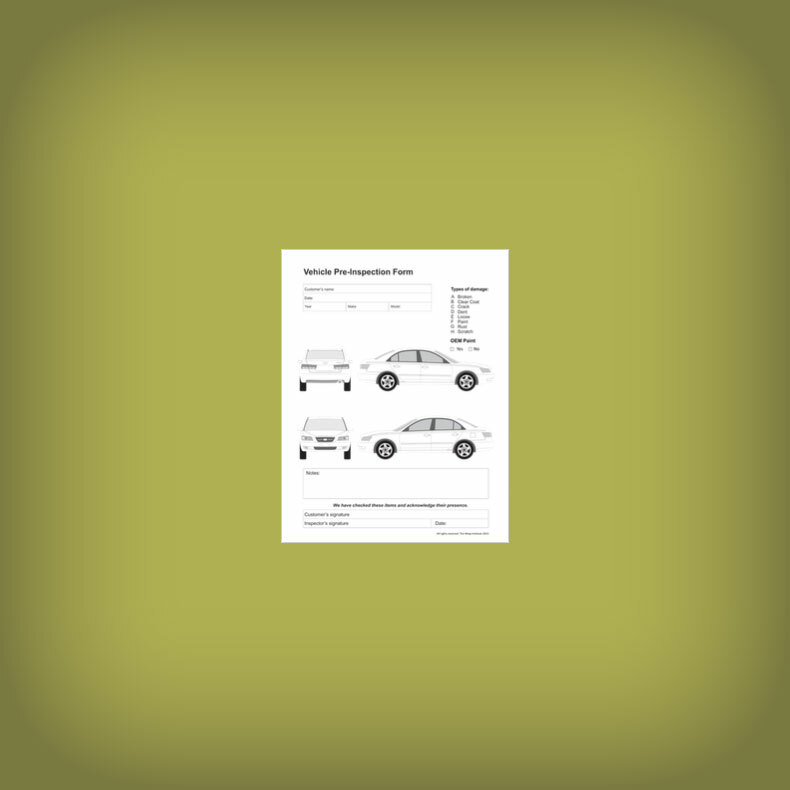 This is a collection of 12 forms created for vehicle inspections at the time of drop off. 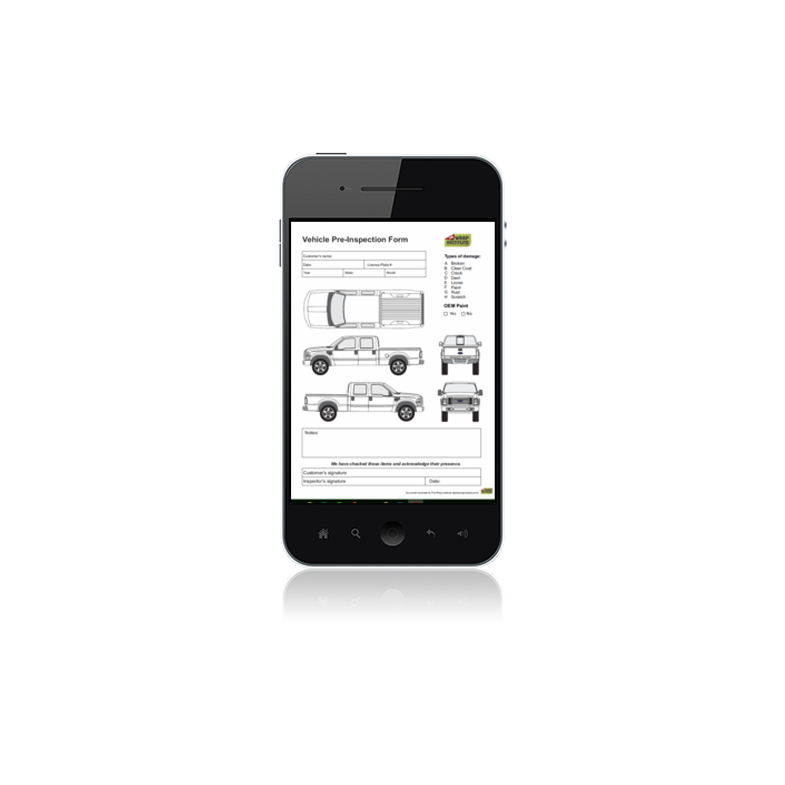 The form has space to record the client/vehicle information, pre-existing damage, notes and signatures. See Justin talk about how to use this form here (jump to 3:35). Vehicle templates included: Crew Cab Pickup Truck, Single Cab Pickup Truck, Standard Van, Extended Van, SUV, Sedan, Jeep, Box Truck, Fiat, Coupe/Sports Car, Fishing Boat, Speed Boat.